HMD Global has been rebranding and launching its X series of devices globally for some time now. So the next smartphone is Nokia 8, and some rumors state that NokiaX7 could be launched globally as Nokia 8.1 instead of Nokia 7.1 Plus. A Nokia 8.1 has also been spotted on Geekbench with the same processor as the Nokia X7. Previously, the Nokia X5 and the Nokia X6 were launched as the Nokia 5.1 Plus and the Nokia 6.1 Plus respectively. 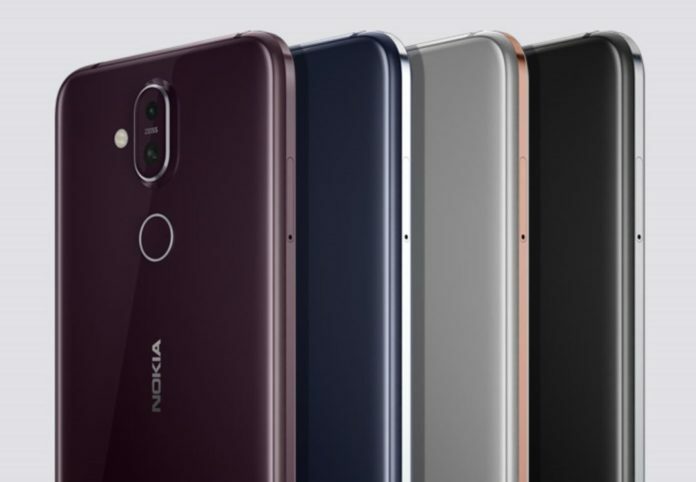 Following the trend, the Nokia X7 smartphone that was recently launched in China would be expected to launch as the Nokia 7.1 Plus globally. However, as per the tipster Nokia anew‏ @nokiamobileru, the company’s Chief Product Officer Juho Sarvikasl will be reserving the Nokia 7.1 Plus moniker for another device that will be announced around MWC 2019 and rebranding the Nokia X7 as the Nokia 8.1 for its global debut, which is tipped to be announced before 2019. The Nokia X7 sports a 6.18-inch Full-HD+ ‘PureDisplay’ with HDR 10 support and is powered by the octa-core Qualcomm Snapdragon 710 processor. The device’s display features an 18.7:9 aspect ratio with 86.5 percent screen-to-body ratio. It comes with 6GB RAM and up to 128GB of internal storage, which can be expanded up to 400GB via a microSD card. The smartphone features a dual-camera setup and a fingerprint sensor on the back, which is made from a 2.5D curved glass. In terms of optics, the Nokia X7 comes equipped with a 13MP primary IMX363 sensor with f/1.8 aperture and a 12MP secondary sensor with Zeiss optics at the back. On the front, it sports a 20MP shooter with f/2.0 aperture features. The Nokia X7 is backed with a 3,500mAh battery that supports fast charging and it comes bundled with an 18W charger. For more such articles, stay tuned to TechBurner website.